"We deliver state-of-the art services and cutting-edge technology, with kindness, warmth, and compassion to promote healing." – Benjamin J. Levinson, M.D. At SC internal Medicine Associates and Rehabilitation, LLC, we know a thing or two about providing superior, patient-centered care. We have been serving the South Carolina area for over thirty years, making us leaders in internal medicine. We diagnose and treat a wide range of conditions in adults, with an emphasis on preventive care through patient education. We work hard to make every appointment a positive experience. Our team based approach is combined with sophisticated on-site services. This allows you to move seamlessly from one test or evaluation to the next. 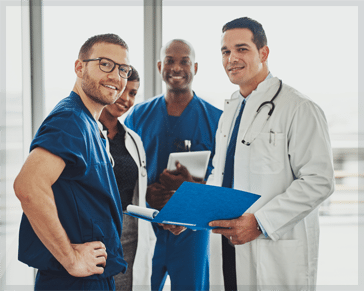 Our physicians work collaboratively with other specialists, as needed, making appointments and navigating the process for you. Our only mission is to support and advance your wellbeing through a lifelong relationship of supportive care. We provide comprehensive, compassionate, and effective care for all of our patients. Let us help you today. Please call (803) 749-1111, or use our secure online appointment request form.